We at Valley Hi Country Club are pleased that you are considering our facilities for your special event. We are delighted to offer the serene setting of our clubhouse and culinary expertise of our Executive Chef & staff to make your function an unforgettable experience for you and your guests. Enclosed is our event information and policies for your consideration. The menus included are designed to provide you with an array of choices to personalize your special event. Our culinary staff will gladly cooperate with you to put together a special menu to fill your particular needs. 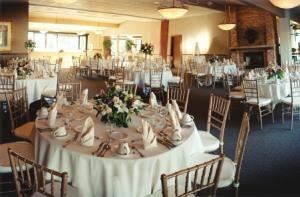 We at Valley Hi Country Club are pleased that you are considering our facilities for your special event. We are delighted to offer the serene setting of our clubhouse and culinary expertise of our Executive Chef & staff to make your function an unforgettable experience for you and your guests. Our culinary staff will gladly cooperate with you to put together a special menu to fill your particular needs.